On the evening of Wednesday, November 21, 2018, a reception in honor of H.E. 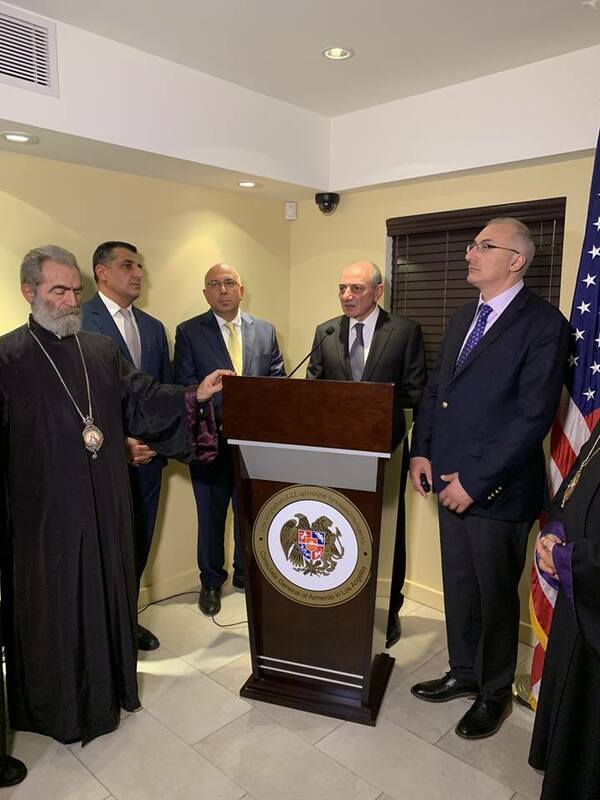 Bako Sahakyan, President of Artsakh, was held at the Consulate General of Armenia in Glendale hosted by Consul General Armen Baibourtian. 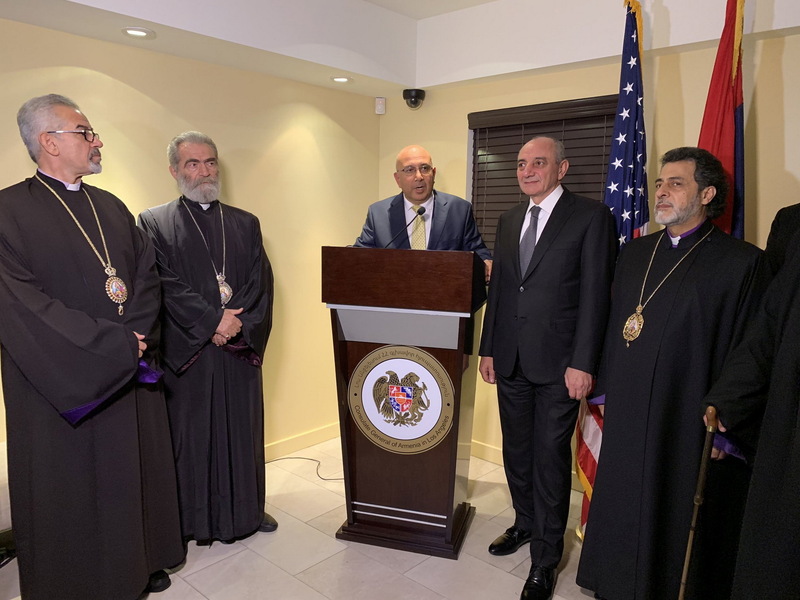 President Sahakyan was joined by H.E. 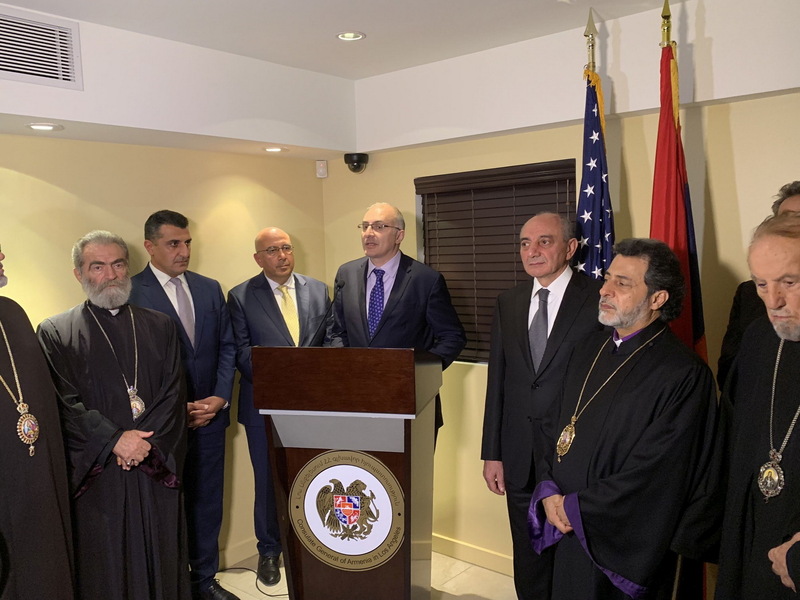 Archbishop Barkev Martirosyan, Primate of Artsakh, Hayastan All Armenian Fund Executive Director Mr. Haykak Arshamyan, government officials and Armenia Fund representatives. 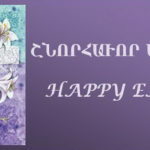 The delegation was in Los Angeles for the 21st Armenia Fund Telethon which took place on Thanksgiving Day. 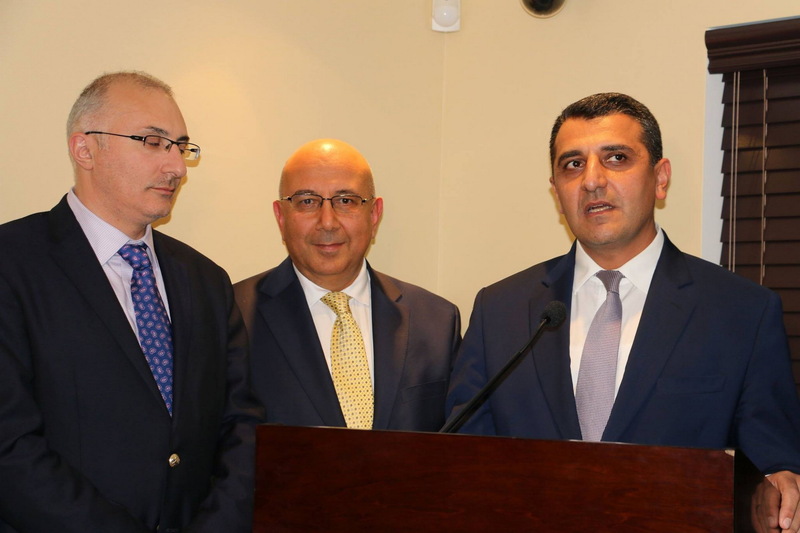 In attendance was the newly appointed Ambassador of Armenia to the United States Varuzhan Nersesyan. H.E. 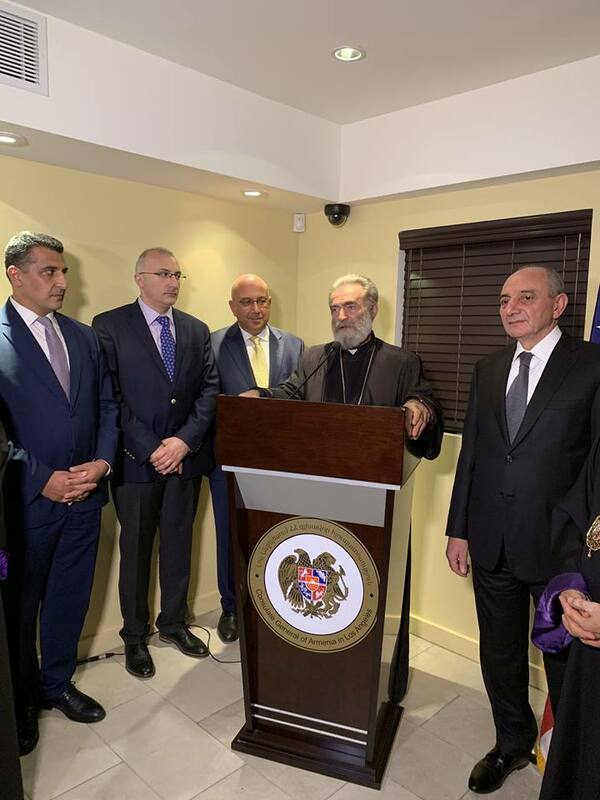 Archbishop Moushegh Mardirossian, Prelate, attended the reception. 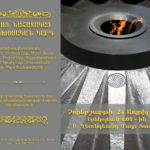 Religious leaders and representatives of community organizations were in attendance. 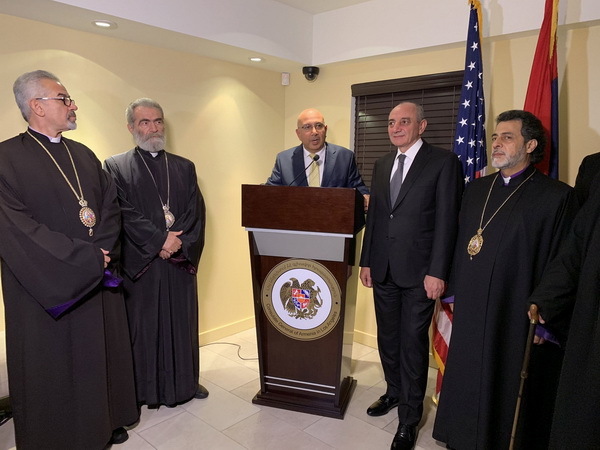 The Consul General welcomed the guests, after which remarks were delivered by Archbishop Martirosyan, Mr. Arshamyan, Ambassador Nersesyan, and President Sahakyan. 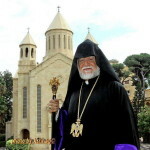 The Prelate conveyed closing remarks and delivered the benediction.